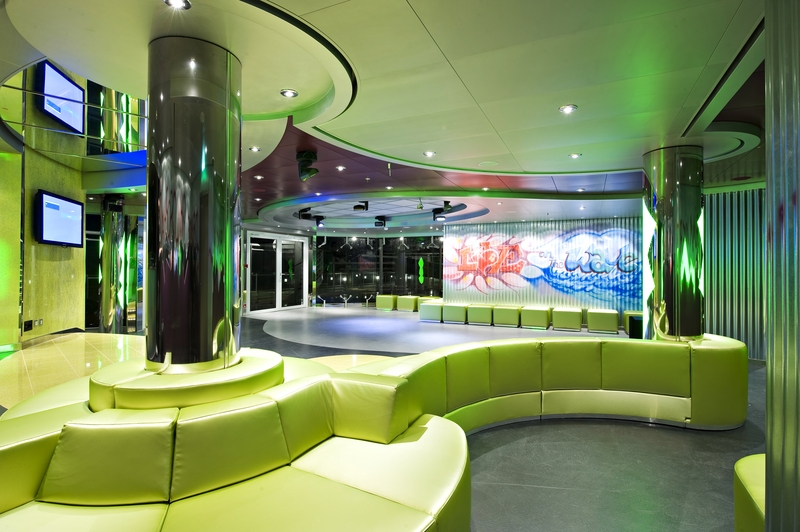 A great range of MSC Splendida reviews written by our customers. 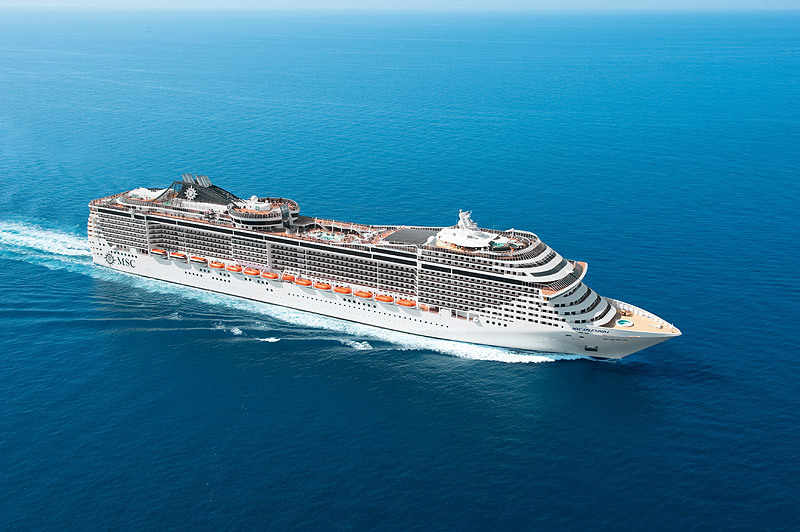 To write your own MSC Splendida review click the link on the right. Summary: Arrival at the airport and embankment were well organised and easy. My card did. It have the inclusive drinks package and we were refused drinks. Had to go to reception to sort it out. Reception staff very unprofessional ignoring you, talking to each other and taking calls while trying to sort out problems. Rooms and room service very good. Food was extremely disappointing, I expected a higher standard. Our first night in the restaurant consisted of breaded pork and chips, no vege no salad. And this pretty much continued throughout the cruise. We were put on a 8 seater table with 10 people. It was cramped and an extremely unpleasant experience. The itinerary was excellent and I enjoyed the different ports. 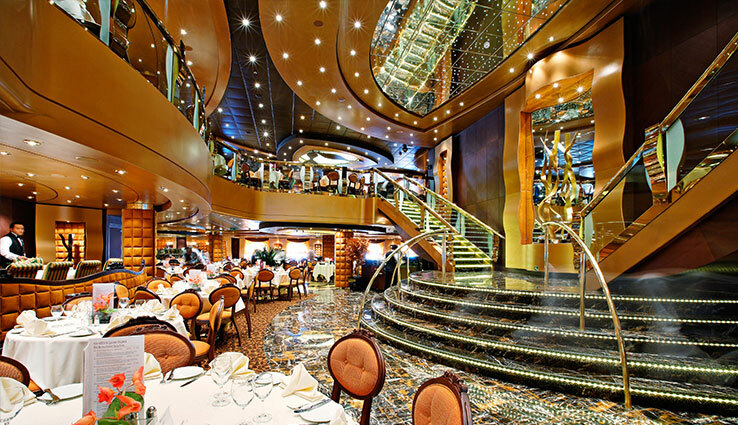 I would never use MSC again, other cruise liners offer better food options. Summary: Just returned from a fabulous cruise in the MSC Yacht club. 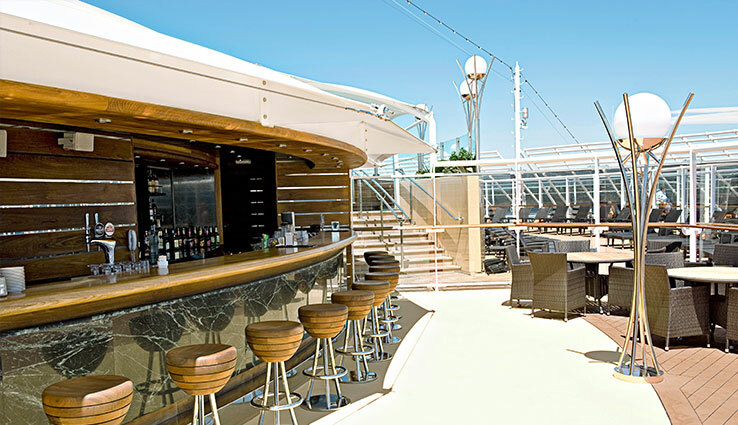 Having previously experienced the many benefits of the Yacht club several years earlier on the Fantasia the sister ship Splendida exceeded our expectations and while much costlier than a balcony the exceptional service we experienced made our wedding anniversary a very special occasion. Iglu provided the flights and transfers and everything went very well. Summary: We have cruised with MSC twice before - once 20 years ago, and once 12 years ago. The ships were much smaller then. Splendida is massive. Nearly 4000 passengers, so it's like a small town. This is good for stability in rough seas, but not so good for personalised service. The ship was very clean. Cabins (we had a balcony) of a good size and well-equipped. Many things come at an additional cost, and although gratuities are added to the final bill, there is a 15% service charge on all drinks. 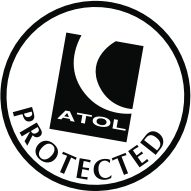 Various "packages" are available to buy (Wi-Fi, wine, coffee etc) so it is worth looking at these to see if you could get better value than buying ad hoc. There was also a charge for shuttle buses to get you into town at the various ports of call. A bit of a cheek. If the ship is so big that you cannot moor it close to town, there should not be a charge for a shuttle. In Parma you can walk to the dock gate and catch a local bus or on/off tour bus, but nobody told you that! Entertainment shows were dancing shows of a reasonable standard, but very short - only about half an hour. 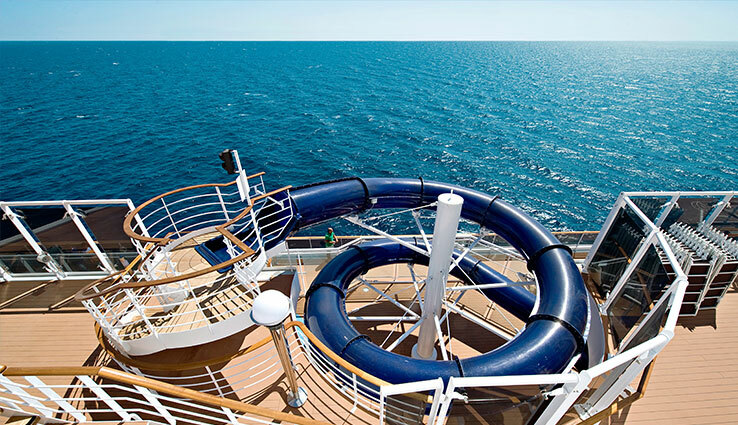 Not a patch on Royal Caribbean. Our main gripe was the evening meal. We had opted for 2nd sitting, and I'm sure I read that this would be at 8.30 pm, but it was 9.30. Presumably this suited Spanish passengers, but everyone else thought it much too late. Service was slow, food of average quality, and portions very small. MSC used to provide silver service and there was always a fish course. Not any more. We complained on the second night, and a procession of restaurant managers came to see us. Things did improve after that, but it seems that the MSC glory days have gone. A real shame. 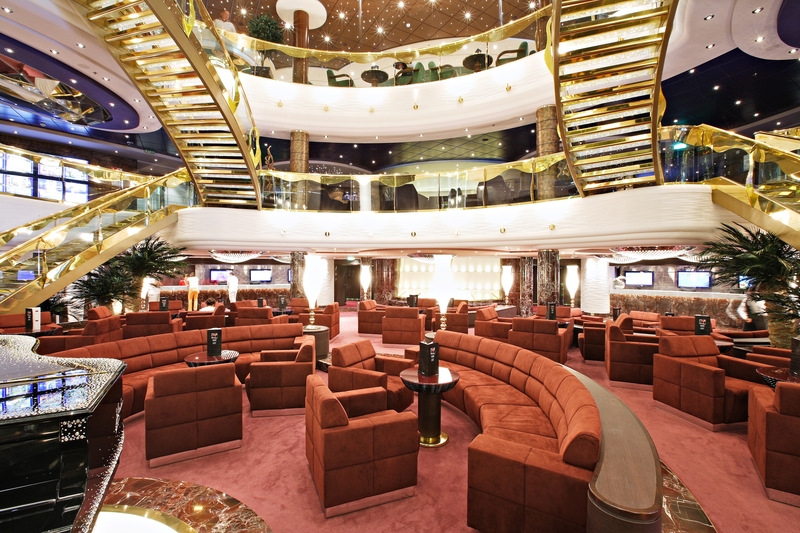 Summary: Just completed a week long cruise on MSC Splendida, staying in a Yacht Club suite. This was a fabulous experience, which we chose as a treat for my special birthday. We were treated like royalty from the first moment of arriving at the port to our disembarkation for transfer to the airport. 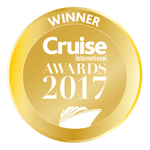 The Yacht Club experience is very different to any of our previous cruising experiences with a range of cruise companies. The YC area is sophisticated and restful, with your every need provided for. The cabin was luxurious and the attention from our Butler, as well as all the staff was faultless. Food in the private restaurant was of an excellent standard during the whole of the week. The YC lounge provided drinks and snacks all day and late into the night. 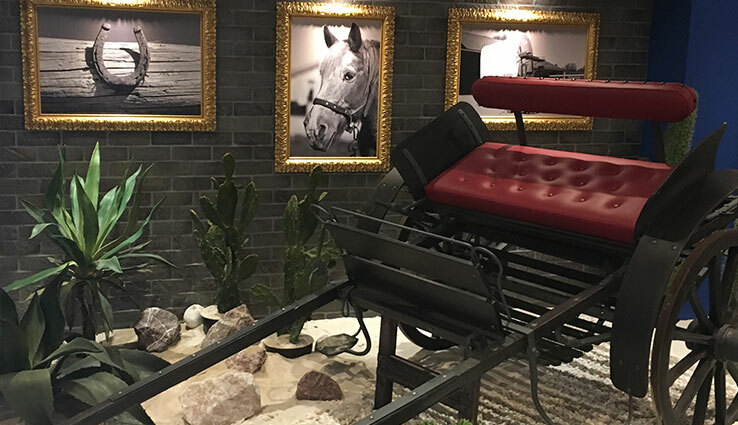 The complimentary room service and minibar were a bonus, as were the range of special treats delivered to our suite every evening - not just a chocolate on the pillow but petit fours, macaron and even chocolate dipped strawberries. On my birthday the staff decorated the suite with bunting and balloons, leaving complimentary champagne and chocolates for our indulgence. The whole experience was truly wonderful and I can't thank the MSC Staff enough. Highly recommended! Summary: We checked in at Rome which was straightforward and easy and we were on the ship within about an hour of the check in opening. Our luggage was delivered within about two hours which was extremely efficient. We travelled with our two eighteen year olds and had two balcony cabins, one was a twin and the other a double. Both cabins were spacious with a sofa in the lounge area and a table for books etc. There was plenty of wardrobe space and drawers. The safe in the wardrobe was easy to use. We had a free upgrade from an outside cabin to a balcony but don’t think we would bother with a balcony in the future as it was completely enclosed and would never get sun even in the height of summer. The cabins were spacious and our cabin attendant kept them clean and tidy throughout the cruise, towels were changed daily for both pool and bathroom. Nothing was too much trouble for him, our daughter was cold at the beginning of the cruise and he got her an extra blanket and checked that she had been warm enough the day after. 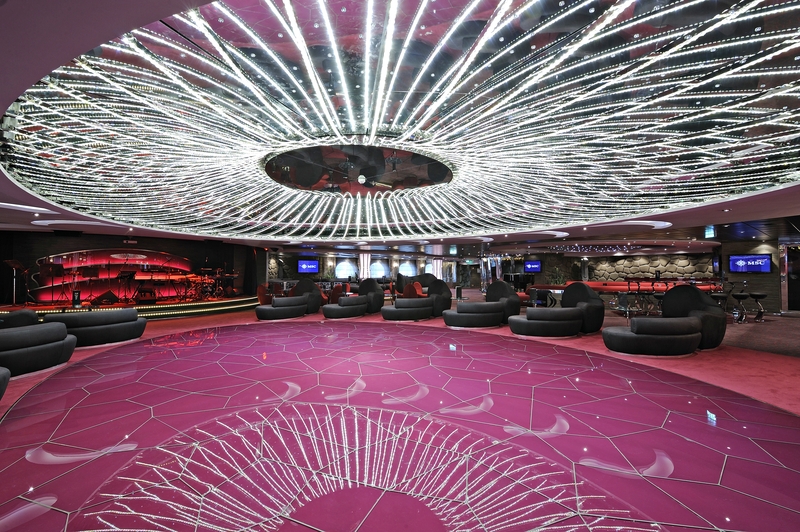 The ship itself was stunning, particularly the reception area and the Swarovski crystal staircase. The ship had been decorated for Christmas with a huge Christmas tree and wreaths and ribbons around the railings in the atrium and trees in most of the bars. 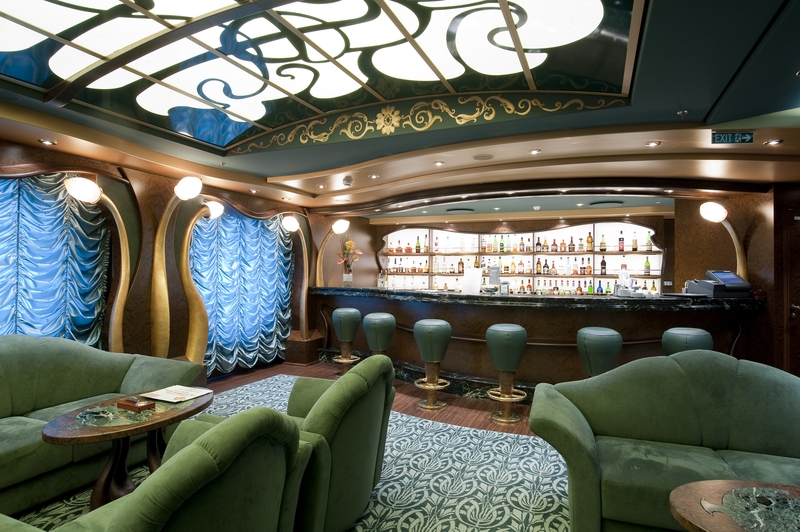 The artwork and statues throughout the ship were very tasteful and added to the luxury. Even though it was a large ship there was always somewhere to sit and have a drink or to just watch the world. 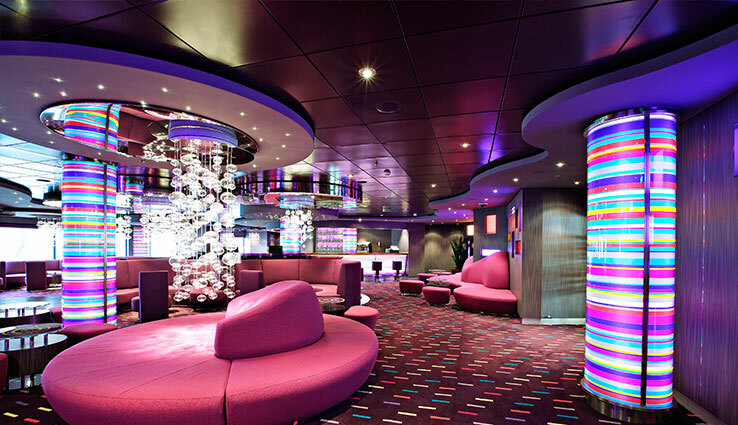 All areas of the ship were spotless and the army of staff worked relentlessly to keep the ship clean. The Boro Boro & Pago Pago restaurant area was self service and you could always find a seat at whatever time of day you went there. The food was excellent and there was a wide choice each day for all meals, including Vegetarian options, oriental, a variety of pastas, daily specials as well as the usual bakery and dessert items. The food was of a high standard and I don’t think there was a meal that we didn’t enjoy. We used the buffet restaurant for breakfast and lunch as well as one evening meal. The buffet provided afternoon snacks as well as sandwiches from 11.00 pm. On two evenings there was a huge buffet, the Christmas Magnifique buffet on Christmas Eve was a sight to behold ! The cakes that had been made were spectacular ! We ate in the Villa Verde Restaurant in the evenings on the first sitting. The choice was good and the food was of the highest quality. The pasta and risottos were particularly good. We didn’t try the food in speciality restaurants. We bought an Allegrissimo drinks package for the four of us when we booked the cruise and this entitled us to unlimited milk shakes, coffees from the coffee shops, Italian homemade ice creams as well as draught beer, cocktails and wine. This was very reasonable and well worth what we paid for it. There was a good variety of bars and activities that were held throughout the day. We didn’t participate in the activities but we did watch the dancing cocktail waiters and one waiter showing us how to make the different coffees. La Plazzetta was a lovely quiet place for a milk shake or an ice cream and there was a Christmas market on in this area as well. L’Enteca was another nice area, it was designed rather like a Mediterranean wine bar and had complimentary tapas with your drinks. All of the bars had live music, mainly piano players. The Aft Lounge was the area were a lot of the interactive activities took place and was too noisy for our liking. 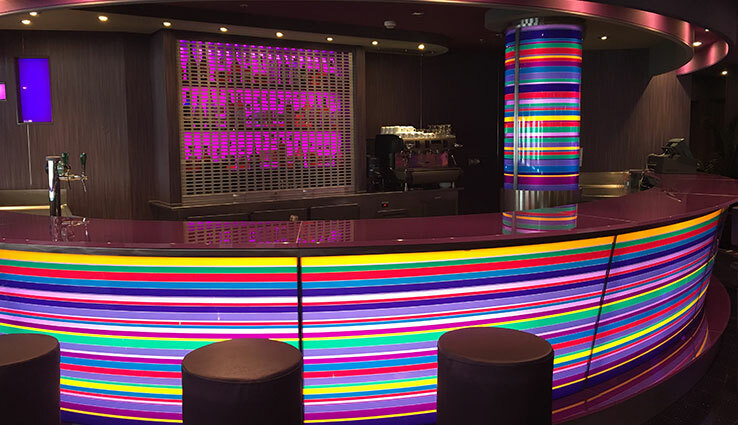 All of the bar staff were polite, helpful and friendly. All four of us watched the show every evening and the only one we didn’t really like was the flamenco dancing but this was a personal taste rather than the show itself. The acrobats were particularly good and well worth watching. We didn’t use the pools as the weather wasn’t warm enough but there was an indoor pool which our teenagers used. We did venture into the hot tubs and there were a lot of them so you could always get a space. The facilities outdoors were brilliant and it was a pity that it wasn’t warmer as we would have used them a lot more. The photographers were extremely good and all photos that were taken of the four of us were excellent, we had trouble choosing which ones to buy at the end of the cruise ! We visited Rome, Sicily, Malta, Barcelona and Marseille. One complaint would be that the shuttle buses from the ship to some of the city centres were expensive. In Marseille it was fifteen Euros ninety per person. Some of the seats in some of the bars were uncomfortable, they looked nice but not easy to sit on for any length of time. Other than that the cruise was excellent. I would highly recommend anyone to cruise on the Splendida. Summary: My husband and I boarded the ship in Barcelona. 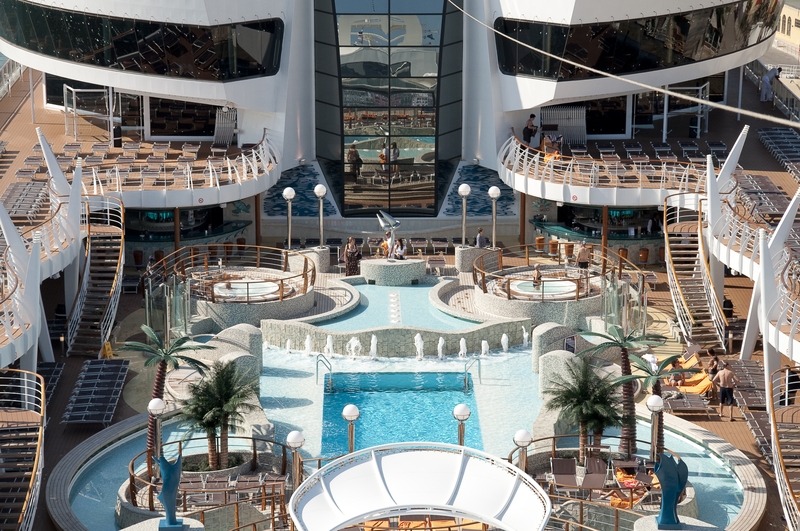 The embarkation procedures are not that clear, there are no signs telling us what to do. We just asked American looking tourists if we are on the same boat and just stayed close to each other. Finally the check in lines opened and after checking our passports and reservations we were ushered into the green canvas for our first photo. We haven't slept since we left Chicago the previous day so we def looked like zombies lol(but the pics def looked refreshed, maybe it's the lighting technique, I don't know lol). We finally went up a long escalator leading to the ship where at the entrance they took our pics again for ID purposes(whenever we got out and got back into the ship they verify our cruise card and our is pics on the computer)the cabin was spacious, we got our own little balcony, a mini bar, TV (CNBC news & a lot of Italian shows), shower, hair dryer and I was so glad they gave a 110 electric outlet! Unfortunately there's only shampoo and body wash provided. I brought toothpaste, soap and conditioner. We were able to drink the tap water and no harm came to us but I still bought with me me a Britta bottle with purifier for our shore excursions. There was a fire drill the first night which we didn't make it to cuz we just slept the whole night and missed the gala night too. The Bora Bora buffet is open as early as 6:30 am for breakfast. There are scheduled times for lunches and dinner but pizza, bread, fruits, tea and water are always available 24/7. There's a set schedule for fine dining at the La Reggie and Valle Verde restaurants. We just tried it once and just went back to the buffet for the rest of the cruise cuz it's easier for us that way. My husband firmly believes that it's the same stuff served in the buffet anyways lol. We went for the shore excursions which I booked when I was still in the States. The excursions were done in an orderly fashion, the tour guides in Marseilles, Genoa and Palermo spoke Italian first then English. We had English guides in Rome and Malta, separate from the Italian group. We had the most interesting group in Rome where most of the tourists in our group were Korean, oh me oh my! Talk about things getting lost in translation lol! Of all the places we visited we think Malta is the best because the city was very clean and there are no vendors harassing us to buy selfie sticks and overpriced scarves which were all made in China anyway lol! Overall our MSC Splendida cruise was really splendid and entertaining. There's always some activities in some part of the ship. We never got lost for there's always crew and staff you could ask for directions and stairs and elevators are accessible everywhere. The crew and staff are very pleasant,courteous and friendly. At the buffet they're very quick to remove your plate lol. Some guests just don't know minimal manners like falling in line, not elbowing their way to the food, not saying excuse me or please and, get this: using their spoon in getting the food! The food tongs are so huge and visible I don't know how they missed it. A lot of people sneeze, cough, clear their throats of sputum without covering their mouths! So gross! Aside from these hiccups I could say that the trip was enjoyable and memorable. It was a good experience, shopping was heavenly, very, very easy to spend money on shopping! My husband almost got a heart attack when we settled our bill lol. But it was worth it. Good job MSC Splendida! 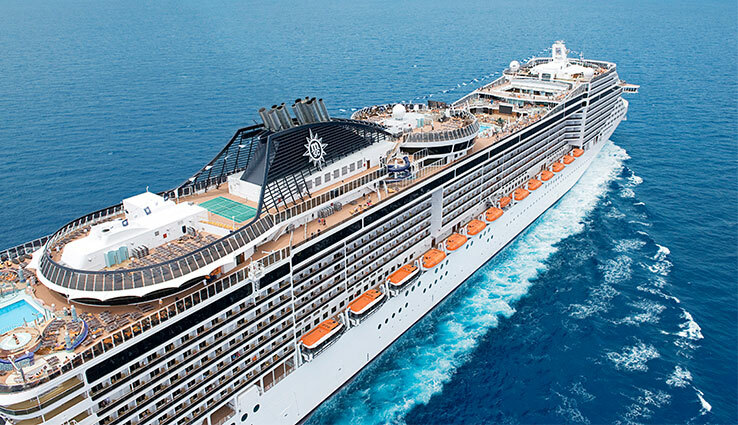 Summary: Cruised Sept 16 Northern Europe on a 7 night cruise, the first time on MSC and it won't be the last. MSC Splendida is for me the best ship I have been on up to now it was stunning extremely clean, the staff fantastic, plenty of bars and places to go, organisation seamed to be first rate as well. Only seen one show a condensed opera which was good the wife realised she had heard the music before and quite enjoyed it, didn't see anything else because of dining time and time spent in restaurant up to two hours for evening meal very relaxed, our evenings were spent in bars enjoying the drinks package which were fantastic value for money. Background musicians were very very good middle of the road classical music and a female singer. We found there was always somewhere to sit during the day and evening in the bars probably because kids were at school - food for thought on future cruises. Downsides - Food was not the best, don't get me wrong it was fine and buffet was 20 hours a day! I just think RC & Princess are better, it was better than P&O only my opinion. The Captain was above it spoke to him on captains formal night just a 'good evening' in passing wasn't expecting a chat but a courteous 'evening' would have been fine, but he completely ignored me 'ouch'. But the worse thing for me - the worst leaving port ever after watching u tube horn wars etc I never heard it once they did say he blew the horn entering North Sea after Amsterdam but I was to busy inside the ship being disappointed.?? I spoke to others who said the same. Some rude people but they were soon put into place by other guests and on one occasion in 4 languages just to make sure she was understood classic! ?? 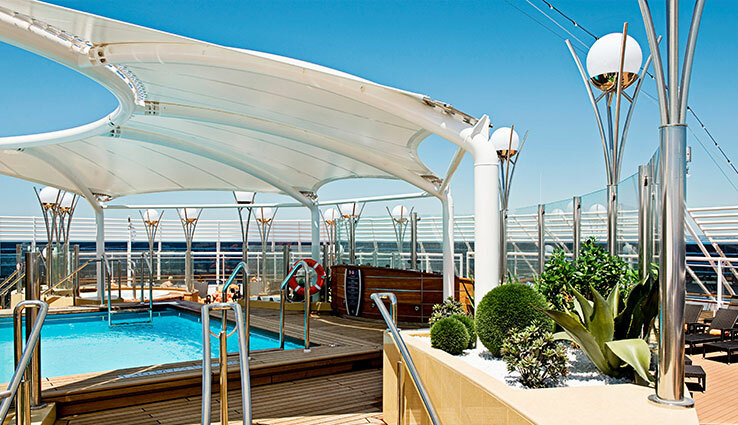 Upsides- fantastic ship, great staff, plenty of pools and whirlpools, fantastic spa, superb cabin, Lavazza coffee bar plenty of different bars. Great deals to be had and the best drinks package at sea €20 a day. Brilliant weather and North Sea like a mill pond! For the prices they charge you have to give them a try.